Following the huge success of the original F1 Sweet Pellet Soak as a top match and coarse fishing bait, the NEW ‘Cool Water’ version offers all the same fish loving liquid ingredients but in a lighter and more subtle variation – ideal for fishing in cooler conditions, right down to icy winter temperatures. Adds Swim Stim attraction and a light colour to ‘fishery own’ pellets in order to give them an almost washed out and safe look whilst adding the attraction which will give you the edge when targeting F1’s, carp and silverfish. 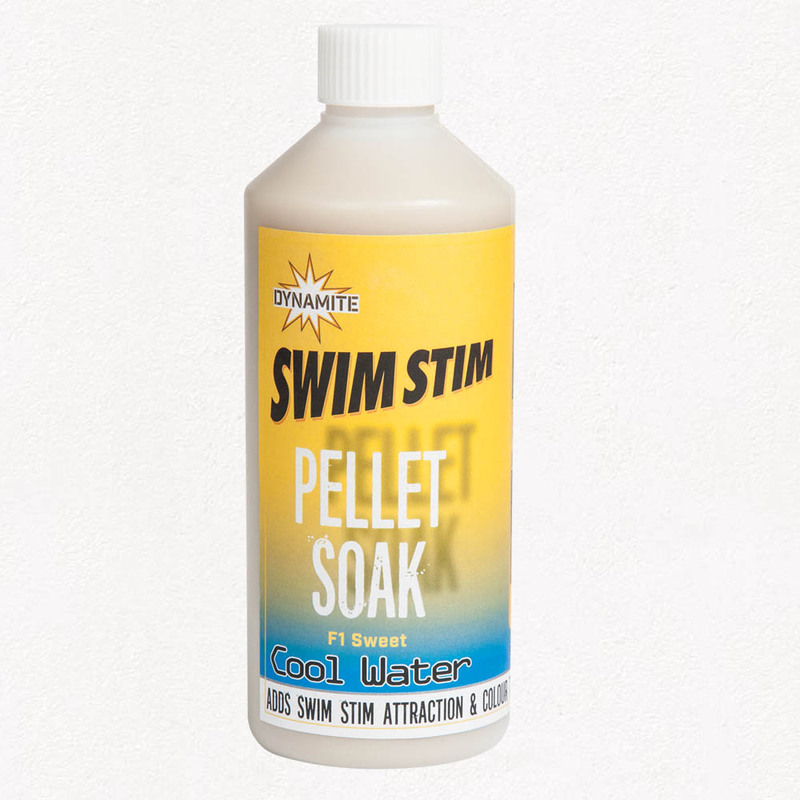 The liquid has all the same palatants as the original F1 Sweet Pellet Soak but these have been slightly reduced to make the liquid more subtle in cold water and in clear conditions associated with fishing in autumn, winter and early spring.